Bali Going to seminyak ? You will find Spa Cure at studio 5 which has 3 building with beautiful nature of Bali. 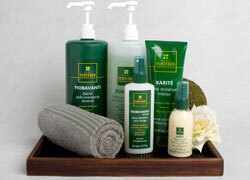 They are proud of their products such as aroma oil from Australia and their original body scrub. Their Head Spa and Nail Care are highly recommended. Their other menus such as reflexology and body massage also promise you to provide a great relaxation. You will get complete relaxation with traditional, Balinese head-to-toe body massage using a blend of aroma oils for your body’s individual needs. It includes body massage and flower bath. You can choose a favorite body scrub from Lulur, Green tea, Coffee and Boreh. It has a great effect to take after massage to improve blood circulation even more. It is also recommended anyone who anyone who feels uncomfortable with oil after the treatment. Your head, neck, shoulder, back, and hand will be deeply massaged with an optional use of oil. This is for anyone who cannot remove tiredness. By stimulating points on the sole of the foot to improve blood circulation and remove toxin from inside of the body, you will get a total balance of mind and body. It is also effective to remove tiredness from travels. This is a special massage for hands, shoulders, arms and foot which is based on Oriental Traditional Medicine treatment. 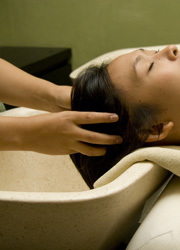 This popular head spa course, Aroma Scalp Massage treats your damaged hair by a sea breeze and ultraviolet rays. They use products such as Rene essential oil from France and cosmetics containing Asian herbs and plants. 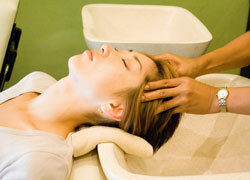 Recovering scalp brings positive effect on anti-aging. 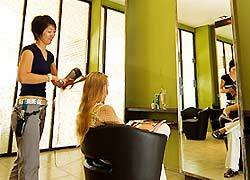 Studio 5 is the only place which offers Hair Steam by Micro Mist in Bali. Why don’t you give yourself the best treatment to make your hair totally new!! They only use French products. You will have counseling with the therapist to check your condition of the skins and then get massage along a flow of lymph to make your skin moisturized and younger. Nail Course for Kids. Why don’t you let your kids have nails like a princess? Free Transportation: Kuta, Seminyak, Jimbaran, Nusadua and Sanur areas Transportation service with ＄15 extra charge: Ubud and Tanah Lot areas Drop-off to the airport is available for free. Children can wait in the treatment room. Since it was a rare chance, I went for sightseeing in Seminyak after spa. Stylish Seminyak! I had no trouble shopping and dining. I had dinner at my friend’s favorite Italian restaurant.